Website: You’ll find everything you want to know about us here – though we’d prefer to welcome you face-to-face. The calendar’s here, and the about us page describes the various activities we run. Events during the next few months are on the coming soon page, and for reviews and photos visit the archive. Ourselves: We’re people without a parish, so we come together from all over. 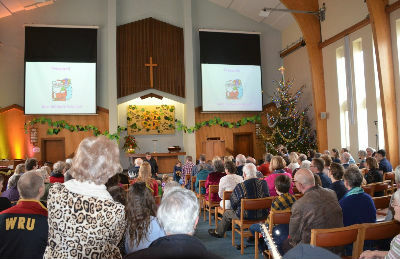 We’re lively, busy and active in the community; we sing loudly and we’re a melting pot of ideas. Ours is a time of change and we want to extend our activities and try new things – we need more people to help us do so. Ministers: We’re lucky to have a talented team of ministers and local preachers committed to our future. We recently welcomed our new minister, Reverend Jeongsook Kim, who is from South Korea and has worked extensively in the English Methodist ministry. We are committed to all aspects of safeguarding for children and vulnerable adults.